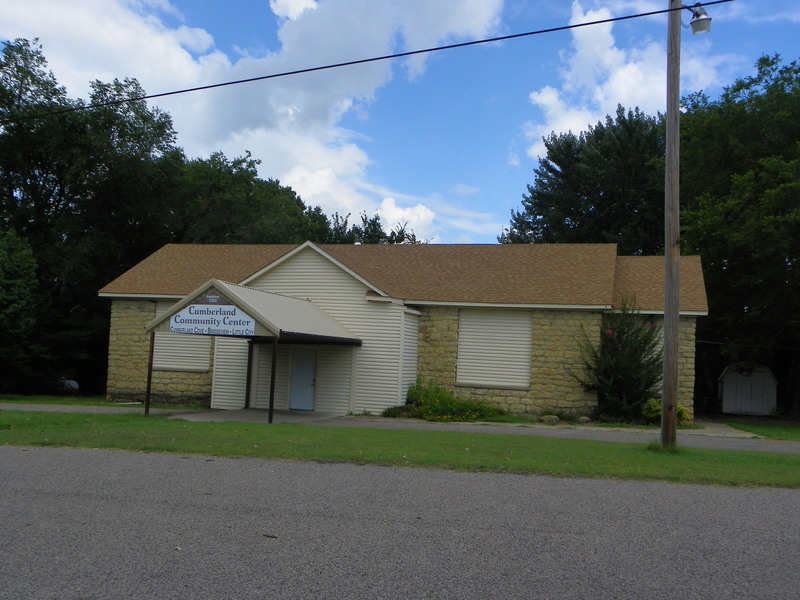 The old Cumberland School is a single-story, two-room, rectangular (70′ x 31 ‘) structure constructed of rusticated and coursed native stone. The structure has a stepped gabled roof with an intersecting center gable that covers the front entry. All windows have been filled with wood inserts leaving only two small new windows on the rear of the building. A chimney stack is located on the rear roof section. Window alterations and a concrete block addition at the front impairs the original integrity of the building. Work on the Cumberland Schoolhouse allowed drought-stricken farmers to earn enough money to continue farming. The building also provided learning facilities for children in an area of scant educational opportunity. 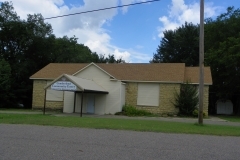 Today the structure serves as a community center for the senior citizens of Cumberland. Architecturally, this structure is notable for its type, style, materials, and workmanship.